From new construction homes, to existing remodeling projects, we are pleased to offer beautiful designs from the simplest of outdoor kitchens to the most extravagant cookhouse. We know you will be happy with the results! Creating your own outdoor kitchen doesn't have to be a difficult task. It can be small and simple, or as elaborate as any indoor kitchen. Let us help you decide what will work best for you and your home. 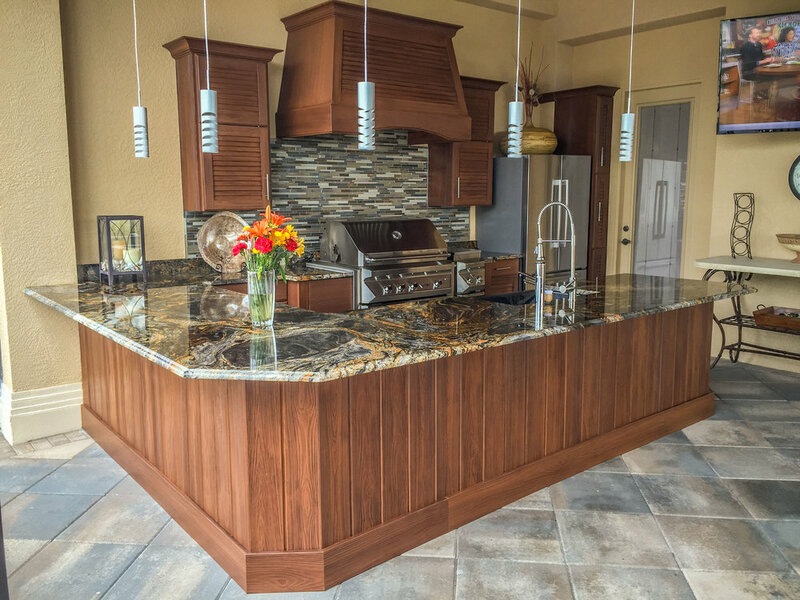 At Alpha Cabinetry & Design, we offer top-of-the-line services to help customers complete their dream homes. We know you will be happy with your new patio! Click below to find the perfect outdoor kitchen for your home. Looking for a specific design for your patio?